As some of you may know, gender equality is something that I am really passionate about. Recently, I came across an article in the Globe and Mail about the annual global ranking of gender equality. Considering that Canada is a first world country, I was completely astonished that we only came in 20th. The recent study by the World Economic Forum is called The Global Gender Gap Report, which explores economic participation and opportunity, educational attainment, health and survival, and political empowerment between both genders. To read the article in the Globe and Mail you can go to http://www.theglobeandmail.com/report-on-business/top-business-stories/wheres-the-best-place-to-be-a-woman-its-not-canada/article15072531/, and to read the full report you can go to http://www3.weforum.org/docs/WEF_GenderGap_Report_2013.pdf. 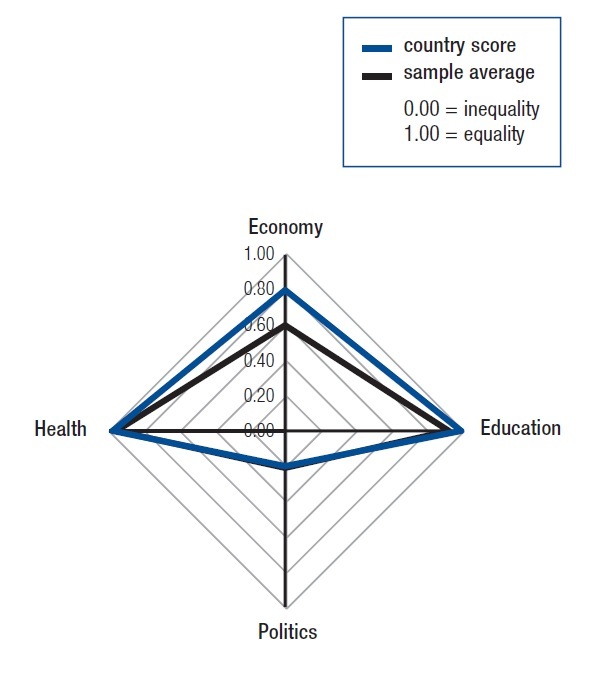 In the study, Canada did do quite well in terms of education, economy, and health, the place where we really fell is in politics. Canada came in 49th for political empowerment. Horrible! Bangladesh is a place in the developing world where people are poor and working in factories in terrible conditions, yet they came in 7th in political empowerment. If Canada has less political empowerment than Bangladesh which is in the third world, it is quite obvious we need to give women a chance. Women and girls are no different than men and boys, so why shouldn’t we be given a chance to represent our country? India also did much better than Canada by coming in 9th. This is utterly embarrassing since countries in the developing world are doing much better than us. Evidently, women in Canada need to be given more opportunities so that they can get more involved in politics. Help scare hunger in your community this Halloween! Not having enough food on the table, not eating good food, and starving. These predicaments may sound crazy, but it is reality for a lot of people around the world. And I don’t just mean people in the developing world, but I mean even in our own backyard. According to the Daily Bread Food Bank, in 2012, there were 1,123,500 visits to GTA food banks. This is completely horrifying and sad. But instead of just feeling sorry for all the people going hungry in your community, you can take action. We scare hunger is a campaign that helps eliminate hunger in many communities. Along with many other children across Canada and the UK you can give up candy and ask for non-perishable food instead. This Halloween, I will be going out for Halloween not in hopes of getting as much candy as possible, but getting a lot of canned foods to help people in my community. This is a graffiti picture of Spencer West that I drew! Today is thanksgiving and I have so much to be thankful for. A lot of people don’t even have the basic necessities for survival like clean water, good health, and a proper home, and I have way more than that, so I am grateful. Since today is thanksgiving I just want to share with you a few things that I am thankful for. #1: My Family…I am so lucky to have an amazing family who will stand by me no matter what. My whole family is so loving, kind, and extremely helpful. I don’t know what I would do without them! #2: Education…Unlike most children in the developing world, I am able to get a proper education. I completely adore learning new things so I am so thankful that I get to have the wonderful experience of going to school. #3: Friendship…I have so many wonderful friends that are so nice, supportive, and friendly! Without my friends my life would not be as fun and exciting! #4: Clean water…Many people don’t have access to clean water. Women have to walk hours to get to water, and more often than not, the water that they are walking for hours to find is not even clean! All I have to do to get clean water is to simply turn a tap and “abracadabra” out comes clean water. #5: Good Health…I am in very good health so I am thankful for that. #6: Food… I am so thankful that I never have to worry about not having enough food on the table like many other people in the world do. #7: My home: I am so thankful that I have a nice place to go home to everyday. #8: Books…I love reading so much and I don’t know what I would do without them. #9: Being born in Canada…I am so thankful that I was born in Canada because I have all my rights and freedoms. In the developing world gender discrimination is a big problem, but luckily that is not as big of a problem here in Canada. #10: Heroes…I am thankful for the heroes that have inspired me to take action like Terry Fox, Spencer West, Hannah Alper, Craig and Marc Kielburger, and Malala Yousafzai. They are all great role models and have inspired me to take action. One of the reasons I think thanksgiving is an important holiday is because so many kids in the world are always thinking about what they don’t have instead of what they do. Children are glued to ipods, computers, or the TV instead of taking action to help their peers in the developing world. Kids need to understand that they already have so much, but they don’t even realize it. People that are even younger than them don’t even have the basic necessities for survival. Really, we have way more than they do. Thanksgiving is a time when the whole world needs to think about all that they have and to be grateful for it. So tonight, when you sit down to your thanksgiving dinner, be grateful for all that you have. This is a picture of Niagara Falls being lit up pink last year on the first International Day of the Girl! 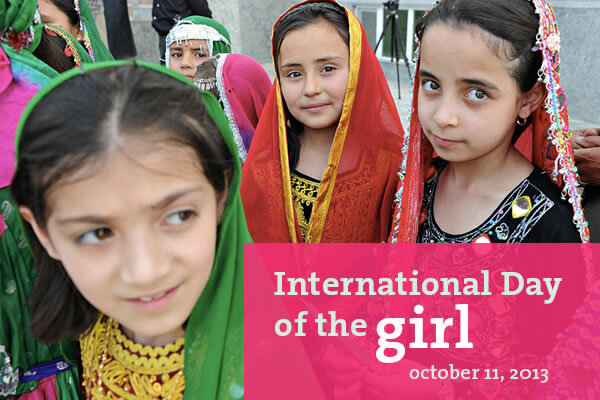 Today is International Day of the Girl which is an event where people around the world come together to recognize the plight of girls in the developing world. Today many landmarks will be lit up pink to raise awareness of the girl issue. This year the focus of the event is on girls’ education. Girls education is extremely crucial in the developing world because if a girl attends secondary school they are up to six times less likely to be married as children. Most women and girls are forced to stay at their homes and clean and cook all day while the men in their family have the right to get a proper education. Education is extremely vital in terms of the economy of the community. If children receive an education they are much more likely to be hired to get a job, and then they will earn money through that job for their family, and if their family has money, the children will be able to attend school. So basically it all boils down to this, girls need to get an education. The other day I was doing my math homework and it was very frustrating and hard, but then I thought about all the girls in the third world who would give anything to be able to get an education like I am getting. I am so extremely grateful for being able to get a proper education. Boy am I lucky to get a proper education! My speech on girls’ rights! Last year, my school had it’s annual speech competition. How it worked was everyone in the whole junior division wrote and presented a speech, and then one person from each class would be selected and would compete with all of the other representatives. I did my speech on some of the issues that girls face around the world and I was picked from my class to be the representative. On the day of the competition I was very nervous, but I still spoke passionately about the unfortunate lives of other girls around the world. I was thrilled when I won the competition! Soon after the competition I got an email from the people at because I am a girl saying that they wanted me to be on their blog. Of course I said yes! After I worked on the questions they sent me, they put it on the blog along with a video of me presenting my speech. Here is the video of me presenting my speech. To check out the because I am a girl blog you can go to http://blog.becauseiamagirl.ca/11-year-old-diviya-gives-a-winning-speech-on-the-girl-issue/. The plight of girls in the developing world! I am so fortunate to have the freedom to go to school, choose my career, and choose my husband. Unfortunately, other girls in the developing world are not as fortunate. Actually, most girls in the developing world can only go to school until around age 14, or they don’t go to school at all! Instead they must stay home and cook and clean for their family. This is completely unfair because girls should be considered equals to men. I certainly LOVE going to school, learning new things and making friends. It seems crazy to me to think of staying home all day and cooking and cleaning. Most girls in the third world also have to marry in their teens to somebody that they haven’t chosen. Basically, if I lived in the developing world my parents could ALREADY be planning my wedding to somebody I don’t even know or love. Then girls must have babies when their bodies aren’t even ready. The charitable organization called “Plan” has a division called Because I am a girl which empowers girls in less fortunate countries. The organization helps girls in about 58,000 communities per year. My family sponsors two girls through “Plan;” one is named Amy from Africa, and the other is named Laxmi from India. It makes me feel good that my family and I are making an impact in other girls’ lives. 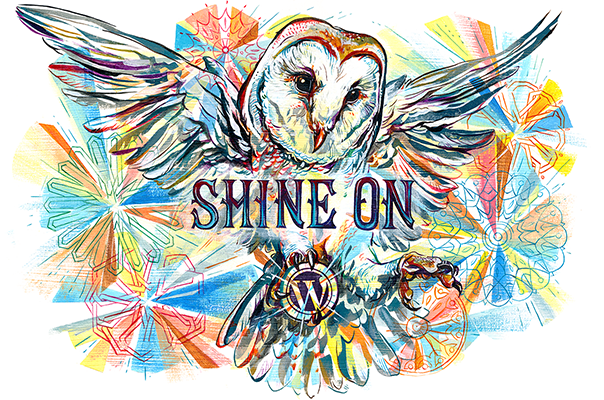 This is an inspiring video about girls in the developing world. Thank you for joining me on my journey to change the world! Here is a video explaining how Free The Children was started and how it is making an impact in today’s society. Spencer West is a motivational and inspiring person who I will look up to for the rest of my life. He was born with a genetic disease which caused his legs not to work, so at the age of three, he had them amputated. Spencer hated the artificial legs they tried to get him to use, so his parents decided that he would have to learn to get around on his hands. He was always optimistic; instead of thinking that losing his legs would be a bad thing, he thought of it as an opportunity so he could get around more easily. Growing up, Spencer had many amazing achievements for a boy with no legs. He even joined the cheerleading squad and was the star of the show! However, he was sometimes a victim of bullying. Now, Spencer West speaks at public events to inspire youth to follow their dreams and to not give up. In 2012 Spencer achieved his greatest accomplishment -HE CLIMBED MOUNT KILIMANJARO! On his hands and in his wheelchair in June 2012 he climbed the tallest mountain in Africa with the help of his two best friends to raise money for clean water. They climbed for seven days straight and through their journey they showed perseverance, courage, and compassion. Altitude sickness is common for mountain climbers and luckily Spencer did not get the illness. Unfortunately, both of his friends were hit with the illness hard. At the time when his friends were feeling horrible Spencer considered going back but they continued on and finally they reached the top. At the end, he had raised half a million dollars for clean water. Here is a video of Spencer West speaking at a We Day in Vancouver. Spencer West is my hero and forever will be.